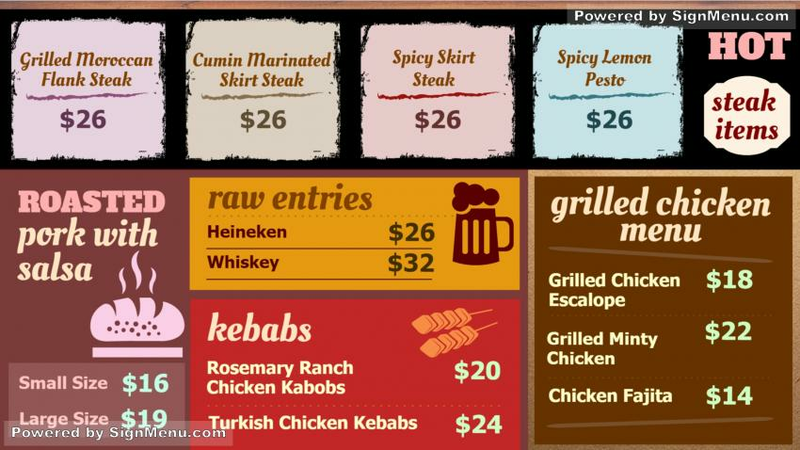 This template is best presented on a digital menu board indoors the restaurant. The bright colors and bold letters together with graphics produce a fresh dimension to the template and menu board. This template is ready for download and use.